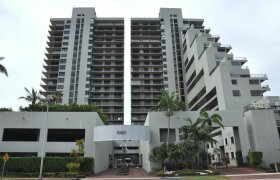 Have a question about a building or neighborhood? Click here! 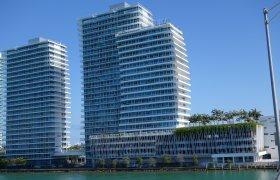 The condos for sale in the South of Fifth area of Miami Beach are some of the most sought-after real estate in the world. 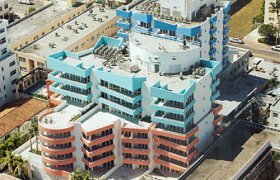 Located at the southern-most tip of South Beach, South of Fifth (also known as SoFi) has been viewed by many as the ultimate residential neighborhood address for the wealthy jet-set crowd. 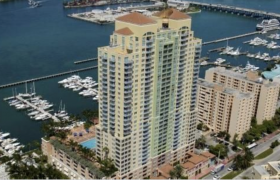 Owners of South of Fifth condos are positioned a short walk away from the amazing $22 Million-dollar South Pointe Park and the magnificent luxurious yachts docked at the Miami Beach Marina. 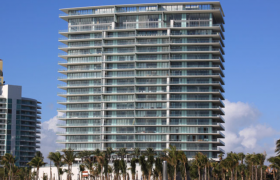 South Beach oceanfront condos are the creme de la creme of luxury real estate in the United States. 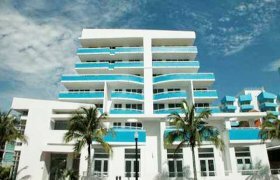 Situated on the Collins Avenue and Ocean Drive, South Beach oceanfront real estate is the ultimate in prestige. 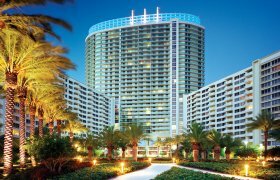 Many of these buildings offer extraordinary amenities including private beach areas, restaurants and special VIP concierge services. 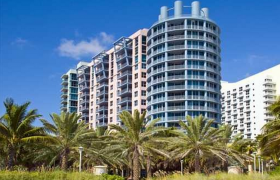 South Beach bayfront condos are located in the primarily residential areas of South Beach on West Avenue, the Venetian Islands or Sunset Harbour. 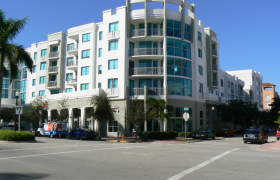 Residents of these areas enjoy residing on most quiet area of South Beach, yet while still being walking distances away from all of the action. 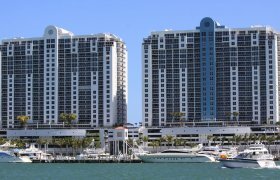 The majority of the buildings offer beautiful views of the bay and city skylines along with excellent front desk services and amenities like onsite fitness facilities. 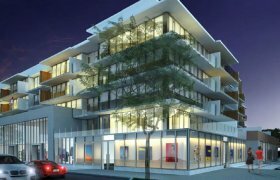 The non-watefront condos on South Beach are perfect for those with a very active lifestyle that love to be in the center of a vibrant community. 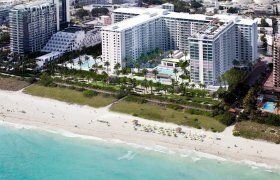 The condos located between the bay and ocean have price points that tend to be more affordable than their waterfront counterparts, while still delivering the overall South Beach residential experience. 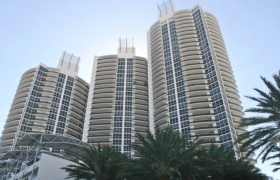 South Beach condos are the pinnacle of luxury living. 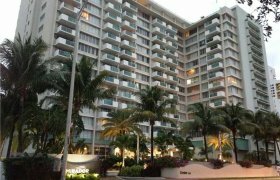 Nestled among Miami Beach’s world class hotels, beaches, and exciting nightlife, SoBe’s pioneering condominiums are naturally some of the most sought-after in the area. The neighborhood is a magnet for the young, the rich, the famous, and even the older retirees who are looking to have some fun. 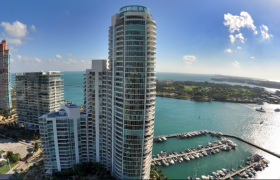 Many of the of the condos are situated along the waterway that links Biscayne Bay to the Atlantic Ocean, offering stunning ocean views that promote nothing but luxury and relaxation. 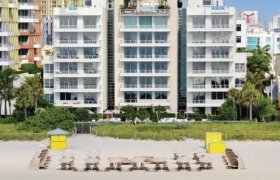 Likewise, SoBe is one of the preferred destinations for tourists in the United States who are looking to have some beach side fun. Go diving and admire the crystal coral reefs, surf the waves, or go for a boat ride, there are tons of water activities to enjoy – or skip all that jazz and just relax under a palm tree. Beaches in the area are famously flat and peaceful so it’s safe to go test the waters. 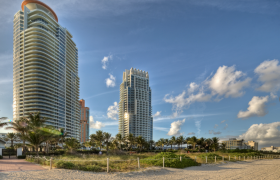 The Virginia Key Beach and the Crandon Park Beach, found right on the Key Biscayne, are common hang out spots for family excursions. 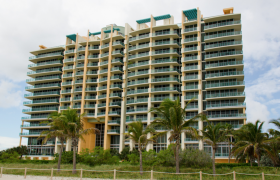 Both beaches are absolutely beautiful and within close proximity to restaurants and gift shops. 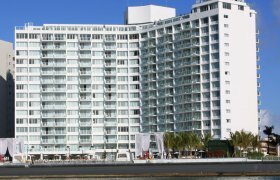 The neighborhood's iconic address remains one of the top reasons why many people are interested in Condos in south beach Miami. 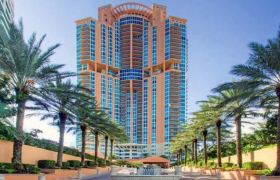 It takes only 10 minutes to commute to Downtown Miami, 25 minutes’ drive to Miami International Airport, and just half an hour to get to the beautiful Sunny Isles Beach. All residents can enjoy complete convenience right at their fingertips, whether it’s going on an unplanned business trip or enjoying time off from work on the beach. Families with kids have access to quality educational facilities as well as recreational centers for them to build their social skills. 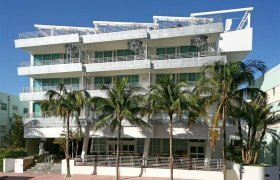 Lummus Park, situated right along the famous Ocean Drive, is one of the most popular hangout spots for families. 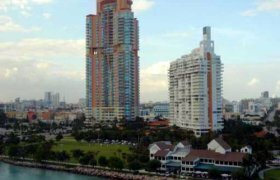 Volleyball, jogging and biking are just a few of the activities that you’ll see at the beachfront park – just watch out for that guy rollerblading. 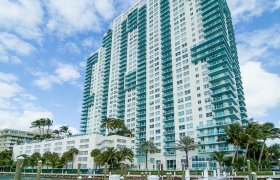 With such a wide range of nearby attractions, owning a South Beach condo is more of an experience than just having a home. 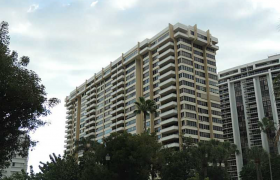 Just moments from the condos you’ll also find an abundance of entertainment, fine eateries, and shopping venues. 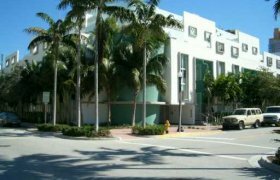 For an up-close look at the world-famous Art Deco, go for a stroll along Ocean Boulevard, the Hollywood movie hotspot glamorized in the 19th century for television dramas such as Miami Vice and most recently CSI: Miami. Here the buildings are accessorized with a host of conveniences; from cafes and bars to luxury boutiques and tourist gift shops. The area has a total of 960 buildings so there will be plenty to see and enjoy. 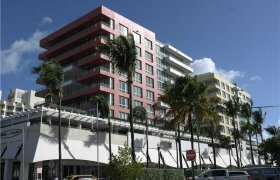 Lincoln Road is another street that is frequented by South beach condo residents, particularly the outdoor pedestrian mall that hosts a variety of restaurants, bars, and entertainment options. 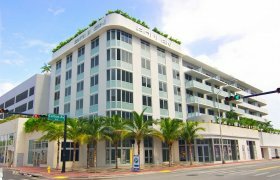 Art galleries, famous landmarks and preserved lavish hotels; featuring alluring swimming pools and spas, make up the breath-taking scenery on Lincoln Road. There’s plenty to do in the surrounding areas. One of the neighbourhood’s trademarks is the various late night hang out spots. 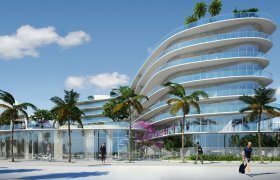 From cocktail lounges to nightclubs and hotel bars, SoBe’s dynamic nightlife promises everyone, young and old, the time of their life. 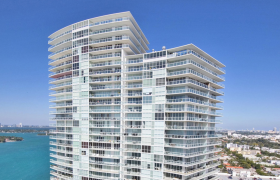 Still, leisure activities aside, South Beach Condos redefine luxury. 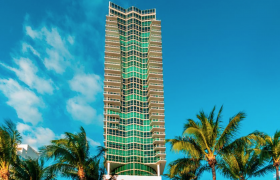 Serving home to some of the most affluent people, condos in South Beach come decked out with some of the most alluring amenities, from well-equipped fitness centers to shimmering infinity edge pools. 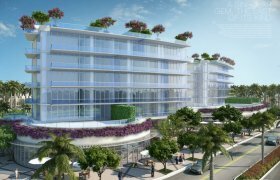 They are designed to serve as a comfortable place of rest as well as a luxury vacation escape with features that rival some the most expansive South Beach hotels. 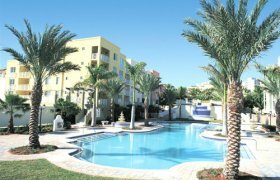 Residents can enjoy a wide range of activities, including swimming and sunbathing, all from the comfort of their home. 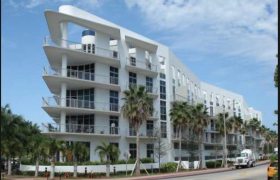 Many condos feature spacious floor plans, scenic views and large windows for natural lighting, all of which are signature features of contemporary South Beach Condos. 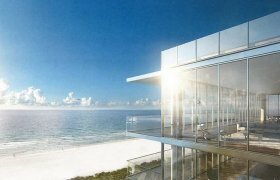 Real estate investors and homebuyers can choose from units as small as 1,090 square feet to ones that are over 4,510 square feet, from chic penthouses and from 1 to 4 bedrooms’ units. Units come fully functional with gorgeous custom designed kitchens, which are improved with state of the art appliances. 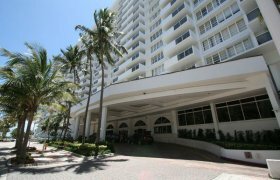 24-hour security is of course a part of the South beach condo living experience with reliable concierge services being offered at most condos. 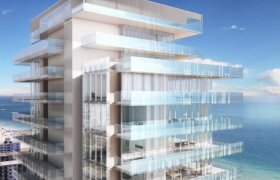 To no surprise, the South Beach real estate market has boomed with so many gorgeous condominiums that feature the most elegant designs to lure prospective buyers. 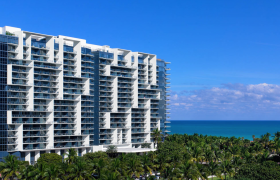 From the beautiful low-rise Art Deco condos to the expansive penthouses that occupy the topmost floors of South Beach's most sought-after buildings. 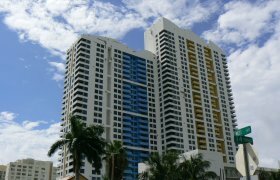 Most residents reside in stylish high-rise to low-rise penthouse and condo units, many of which are affordable. 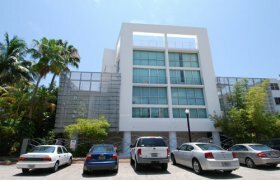 The condos are a masterpiece of modern architecture and undoubtedly facilitate a high standard of living for home buyers. 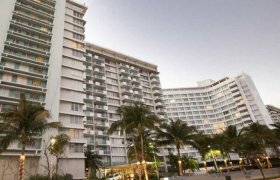 The community is full of sun, jazz and sand, making it perfect for those who enjoy the hip urban lifestyle but also love relaxing. 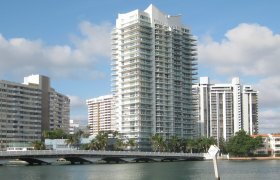 The tropical sun and exciting nightlife are likewise the main reasons why celebrities such as Beyoncé and Jennifer Lopez vacation in South Beach. It is a luxury and convenience that you cannot put a price on. Just imagine living everyday like you’re on a vacation in a dynamic neighborhood that offers a little (or A LOT) of everything. Residents can enjoy a resort-style lifestyle in a vibrant community, offering grand leisure possibilities and stylish residences. 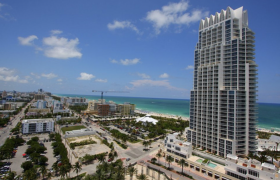 Browse our listing of South Beach Condos for a home that’s right for you. 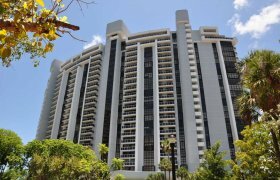 Whether you’re looking for spacious luxury unit or something more intimate, there’s no doubt that you will find something that meets your needs. 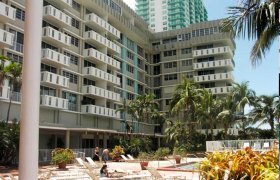 There are tons of options for buyers to choose from on the market as well as those seeking South Beach condo rentals. Don’t let the keys to your dream home end up in the hands of someone else. Seize the opportunity to live life to the fullest now – in paradise! 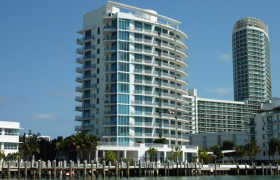 Contact us today to discover additional off-market properties which might not be formally listed by their owners. We have all bases covered for you. Stay on top of the latest deals and news, subscribe now! 100% privacy, we will never spam you!